Posted on January 13, 2016 at 12:00 am. Hey, did you guys hear the LILLEbaby (my absolutely favorite carrier on the market) is up for a Cribsie?! To celebrate, they are generously sponsoring a giveaway! Huzzah! The LÍLLÉbaby Ambassadors are celebrating our love for LÍLLÉbaby with a giveaway just for you! Enter to win a LÍLLÉbaby Carrier of your choice! This means that you can choose any (in stock) LÍLLÉbaby carrier style and print/color of your choice. You can choose from Tokidoki prints, Elephant Party, Frosted Rose, Embossed, and more – plus any new releases between now and January 29th! 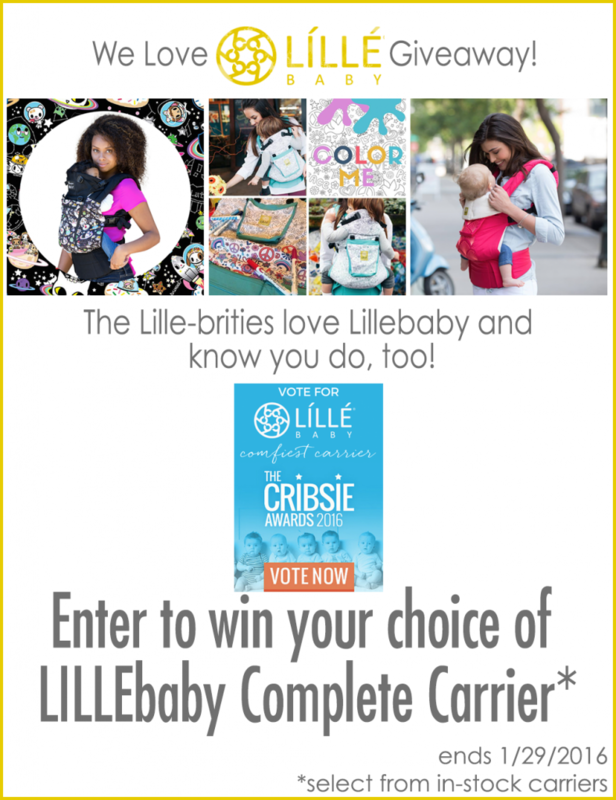 I am honored to be a LÍLLÉbaby Ambassador and thrilled that my favorite carrier is nominated for Comfiest Carrier in the 2016 Cribsie Awards! Comment below and tell me what carrier/print you will choose if you win! Then, start entering! This is a great event. That’s a pity !